How soon will they bear nuts? They begin to bear in only 3-5 years. How many pounds of nuts will they produce? 10-20 lbs after only 10 years, up to 50-100 lbs at maturity, depending on site and location. When is the best time to plant? Depends upon your location. September-December and January-March in the deep south, and September or April-May in the north after frost is over. Where is the best place to plant? A site with good air and soil drainage – tops or sides of hills. Avoid low lying frost pockets and wet areas or places that stay wet for long periods during snow melt. What kind of soil? Well drained, sandy loam or clay if it drains. They do not like wet areas. pH between 5.0-7.0. What about in a forest? Plant along edges or in areas with a tree-fall gap – they will grow for the light. Do they need full sunlight? Yes, they need full sun a minimum of 6 hrs for nut production. How do I plant them – how big a hole? Dig a hole bigger than the pot size or root ball – a post hole digger size for a Tree band. Break up the soil under or around it if there is heavy clay that does not drain well. Should you add mulch or fertilizer to the hole? No - fertilizer can burn the young roots. Do not add mulch in the hole as this becomes a sponge and reservoir for root fungus. Mulch on top of the ground. Just fill the hole with the topsoil from where you planted. Do they need irrigation? Yes! You must water the tree in at planting, and several times per week through the first several growing seasons until the tree is established, especially if it is a drought year like the last several summers. What is a grow tube? A Grow Tube is a translucent plastic tube that acts like a mini greenhouse and makes the tree grow faster, recycles the moisture from the leaves, protects the tree from deer browse, rubbing antlers, rodents and rabbits, and herbicide damage. You must use vented Grow Tubes.We highly recommend them. Do I need to prune them? Let the central leader (main stem) grow up. You may need to prune off lower branches inside the Grow Tube or if there are two competing central leaders. What is the best way to control weeds? Weeds compete with young trees for water and fertilizer so need to be controlled.We recommend Weed Mats, which are made of nursery ground cloth – it stops the weeds but lets water pass through. Mulch is beneficial. If you use herbicide like Roundup, make sure to protect the trunks of the trees as the overspray will kill them through the bark. Grow Tubes help protect the young trees from drift. What % American Chestnut are Dunstan Chestnuts? The trees we grow were selected for blight resistance and nut quality. They are not a particular % American. 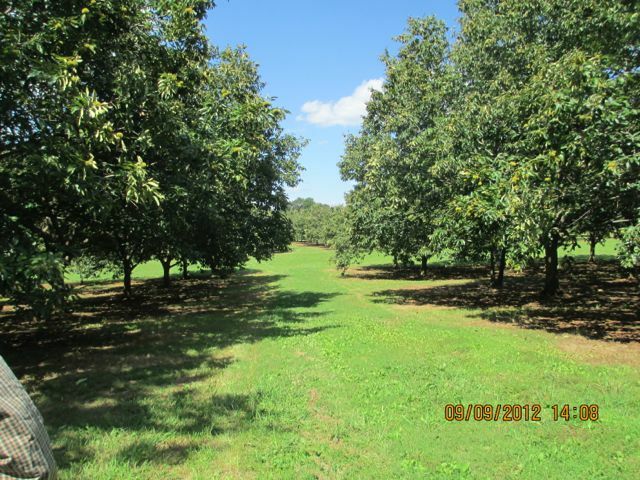 What we grow are trees that have been proven for 35+ years to be able to grow throughout the range of the original American Chestnut, and to produce superior quality nuts. HAVE OTHER QUESTIONS? Call us at 1-800-669-2067 and we can help!